Last night news broke that Ben Affleck—coming off a box office flop with Live By Night—decided not to direct the Batman movie no one would stop asking him about. He was diplomatic about it in his official statement, saying that playing Bruce Wayne required too much of his focus: “It has become clear that I cannot do both jobs to the level they require.” Still, he was starting to seem really exasperated, perhaps due to script troubles. However, now the search is on for who is going to step in. Deadline reports that the first person Warner Bros. is looking to is Matt Reeves. 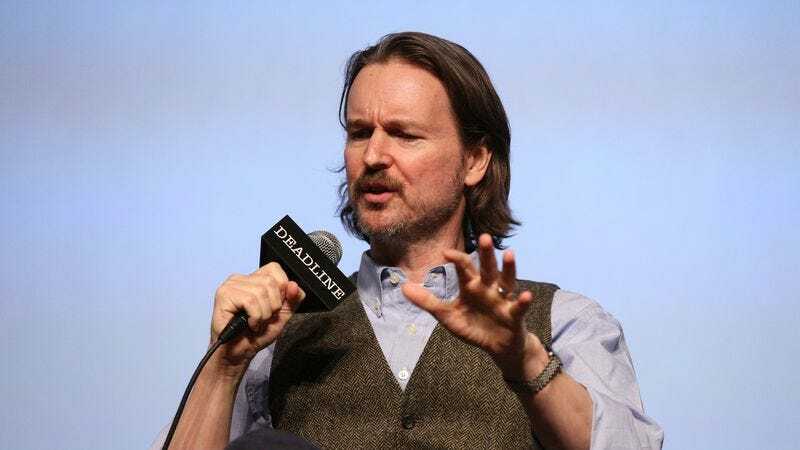 Reeves’ best credit is co-creating Felicity with J.J. Abrams, but more recently he’s been shepherding the Planet Of The Apes franchise, helming Dawn Of The Planet Of The Apes and the upcoming War Of The Planet Of The Apes. According to Deadline, Reeves will be the “first conversation,” while a Variety reporter on Twitter also noted that Reeves is “high on the list” of potential replacements. Deadline also dropped the name Matt Ross as a backup. Ross is better known as an actor—he plays Gavin Belson on Silicon Valley—but his recent feature Captain Fantastic just earned Viggo Mortensen an Oscar nomination. Despite the title, the quirky tale of a man who raises his children off the grid doesn’t scream, “give this guy a superhero franchise.” But studios have been known to hand Sundance success stories massive projects, especially if they happen to be white men. Forbes—via The Playlist—also suggests that Gavin O’Connor, Denis Villeneuve, and George Miller are possibilities. Miller, of course, has a famously fraught relationship with DC, having been hired for a Justice League movie that never happened. More recently, he was rumored to be directing Man Of Steel 2, but he quashed that speculation. Meanwhile, Villeneuve, an Oscar nominee for Arrival, may be tackling a Dune remake, and Gavin O’Connor is supposedly working on The Green Hornet.